GOKPOP | Exclusive K-News in Malaysia & Singapore: Malaysia's Largest K-POP Dance Cover Competition, K'Storm is Back to Hit the Stage! Malaysia's Largest K-POP Dance Cover Competition, K'Storm is Back to Hit the Stage! 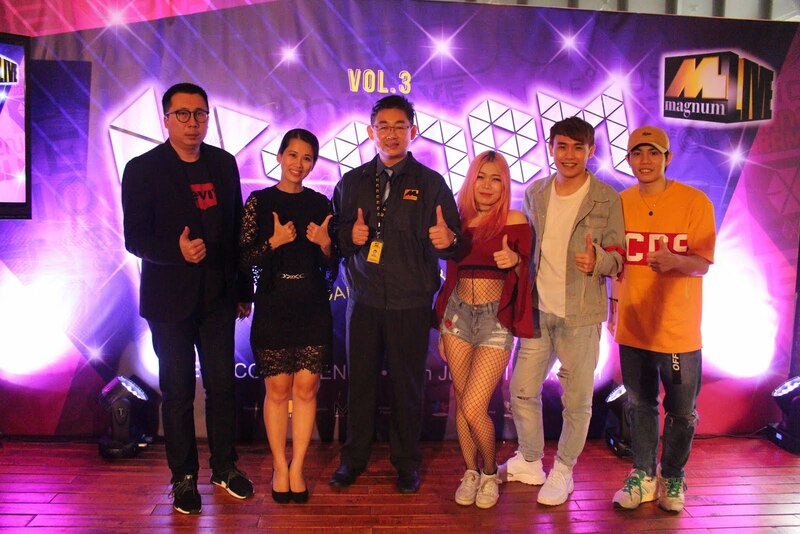 The annual K-Pop Dance cover competition is back to create a huge sensation to all the K-Pop lovers in Malaysia. 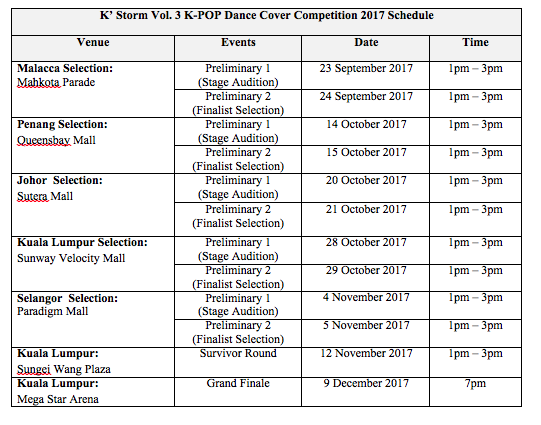 Starting from September 2017, K'Storm Vol.3 K-Pop Dance Cover Competition 2017 will kick start its Preliminary Stage in Malacca, Penang, Johor, Kuala Lumpur and Selangor. To participate, your team must at least have a minimum of 2 members. This year, Survivors' Round is added to the competition, participants who eliminated from the Preliminary Stage are given the second chance for a spot in the Grand Final. In each state selection, the Top 3 teams who scored the highest mark will enter the Grand Final and walk-away with the RM500 cash prize. To take note: the judging criteria are based on K-Pop Identity, Dance Cover, Synchronization, Costume, Creativity and Popularity. Not only that, Best Group Attire Award, Audience Choice Award and Most Voted on Facebook Award are included in the competition. Interested? Grab your phone and contact Joanne Yap at 03-9107 7223 or log into https://www.facebook.com/kstorm.mu/ or https://www.facebook.com/megaultimate/ or www.megaultimate.com.my for more details.